Saginaw Bay Area warm weather over the past 10 days coupled with strong wind is causing ice conditions to deteriorate quickly. This is the time of year when ice becomes extremely unpredictable and dangerous. Anglers need to use extreme caution! The shoreline ice is getting bad. Watch out for pressure cracks and think twice before crossing them. Anglers have been rescued near Pinconning and the mouth of the Saginaw River. Those fishing off Palmer Road caught walleye including some limit catches. Most of the activity was about 1 ½ miles out in seven to eight feet inside the first pressure crack. Some nice perch were also caught. Decent size perch and a few walleye were taken in eight feet near White’s Beach. Down off Cody-Estey Road and Pinconning Road, walleye were taken in 14 feet however be extremely careful around the pressure cracks as the ice was not good. A lot of anglers were fishing off the Bay City State Park. 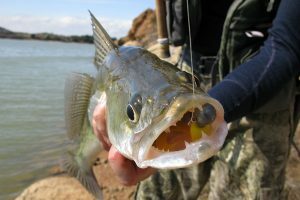 Some were going out three miles for walleye while others stayed close to shore and caught fish in four to five feet. The bite was best before 9:30 a.m. The ice is getting bad near the mouth of the river so avoid the area. Those heading out from Finn Road caught some walleye toward the north end of Spoils Island however stay away from the Hot Pond Channel! 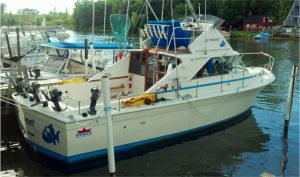 Bluegill and crappie were caught inside the marina basin at Sunset Bay. Walleye fishing in the Slot has slowed due to questionable ice conditions. At Sebewaing, the river is getting dirty and those fishing the marina said it was slow. Mud Creek was spotty. Those fishing the east side of the bay need to watch out for large areas of open water near the islands. Au Gres a couple anglers going out just north of the breakwall caught a few walleye along with a couple whitefish or lake trout in seven to 10 feet. The water was muddy out from the Rifle River and the Pine River because of snow-melt. Tawas Area those spearing pike in the bay took several fish 30 inches or more. Perch fishing was slow. 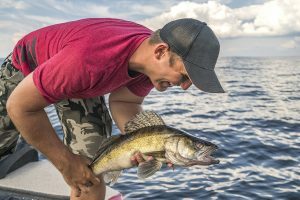 A few walleye were taken off Jerry’s Marina and the mouth of the Tawas River, but success was spotty. 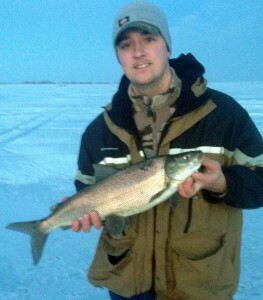 A couple lake trout were caught by those targeting walleye. Weekly Fishing Tip: Buy your 2015 fishing license! 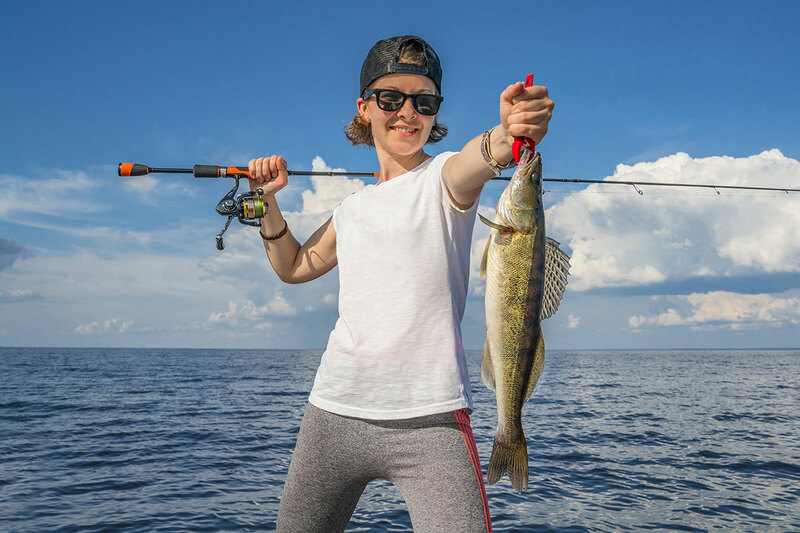 For many of you it may be time to buy your 2015 fishing license so you can enjoy the numerous angling opportunities available in Michigan each year. This year’s license is valid until March 31, 2016. 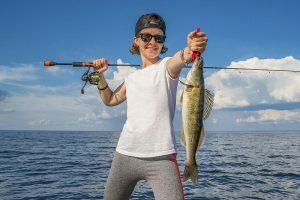 Are you aware of the two simple ways you can buy a Michigan fishing license? Visit your local license retailer and make a purchase in person! Use the E-License system on your computer, tablet or mobile phone to buy a license online 24 hours a day, seven days a week. Just visit www.mdnr-elicense.com to get started! 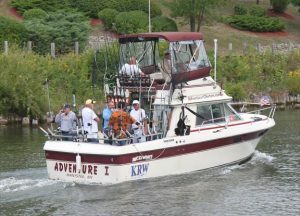 For additional information on fishing licenses in Michigan – including license requirements – visit michigan.gov/fishing.